I welcome open and transparent discussion here so am thankful to Dr Micklen for his response (see NZ Fluoridation review – HS Micklen responds to critique). Unfortunately he is the only author or “peer-reviewer” of Fluoride Free NZ’s report criticising the NZ Fluoridation review to accept my offer of a right of reply to my critiques. A pity, as if any of them think I have got things wrong, and they can support this with evidence, I certainly want to know about it. There are three aspects to Dr Micklen’s reply – dental fluorsis chronic kidney disease and his critique of my letter in the journal Neurotoxicology and Teratology – Perrott (2015). I will deal with these separately. 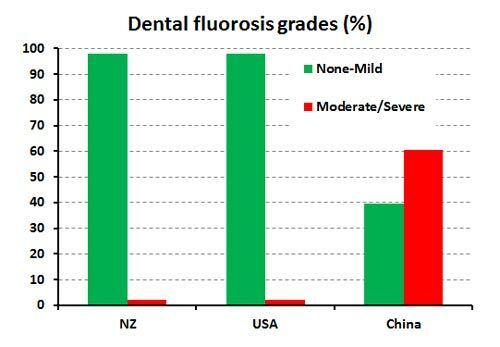 The important factor is that severe and moderate forms of dental fluorosis are not caused by CWF. CWF can contribute to mild and very mild forms of dental fluorosis but because these are usually judged positively they certainly don’t need expensive veneers – my dentist colleagues advise simple microabrasion usually works. So Micklen was wrong to suggest the cost of cost of veneers (up to $1750 per tooth) should be attributed to CWF because such costs would be encountered in non-fluoridated areas as well. (In fact, if Micklen had calculated costs for such treatment in non-fluoridated areas using the “Oral Health” data in the literal way he did for the fluoridated areas, he would have found costs to be higher than in non-fluoridated areas! Certainly doesnt’ support his claim but a meaningless result because of the small numbers and large variability). Health Effects of Water Fluoridation: a Review of the Scientific Evidence. Critique by Fluoride Free NZ organisation: International Peer Review of the Royal Society/PM Science Advisor Office Fluoridation Review. Did the Royal Society get it wrong about fluoridation? Abanto, J., Carvalho, T. S., Bönecker, M., Ortega, A. O., Ciamponi, A. L., & Raggio, D. P. (2012). Parental reports of the oral health-related quality of life of children with cerebral palsy. BMC Oral Health, 12, 15. doi:10.1186/1472-6831-12-15 Aguilar-Díaz, F. C., Irigoyen-Camacho, M. E., & Borges-Yáñez, S. A. (2011). Oral-health-related quality of life in schoolchildren in an endemic fluorosis area of Mexico. Quality of Life Research : An International Journal of Quality of Life Aspects of Treatment, Care and Rehabilitation, 20(10), 1699–706. Chikte, U. M., Louw, A. J., & Stander, I. (2001). Perceptions of fluorosis in northern Cape communities. SADJ : Journal of the South African Dental Association = Tydskrif van Die Suid-Afrikaanse Tandheelkundige Vereniging, 56(11), 528–32. Choi, A. L., Sun, G., Zhang, Y., & Grandjean, P. (2012). Developmental fluoride neurotoxicity: A systematic review and meta-analysis. Environmental Health Perspectives, 120(10), 1362–1368. Choi, A. L., Zhang, Y., Sun, G., Bellinger, D., Wang, K., Yang, X. J., … Grandjean, P. (2015). Association of lifetime exposure to fluoride and cognitive functions in Chinese children: A pilot study. Neurotoxicology and Teratology, 47, 96–101. Cunnion, D. T., Spiro, A., Jones, J. a, Rich, S. E., Papageorgiou, C. P., Tate, A., … Garcia, R. I. (2010). Pediatric oral health-related quality of life improvement after treatment of early childhood caries: a prospective multisite study. Journal of Dentistry for Children, 77, 4–11. Do, L. G., & Spencer, A. (2007). Oral Health-Related Quality of Life of Children by Dental Caries and Fluorosis Experience. Journal of Public Health Dentistry, 67(3), 132–139. Kramer, P. F., Feldens, C. A., Ferreira, S. H., Bervian, J., Rodrigues, P. H., & Peres, M. A. (2013). Exploring the impact of oral diseases and disorders on quality of life of preschool children. Community Dentistry and Oral Epidemiology, 41(4), 327–35. NZ Ministry of Health. (2010). Our Oral Health Key findings of the 2009 New Zealand Oral Health Survey. Perrott, K. W. (2015). Severe dental fluorosis and cognitive deficits. Neurotoxicology and Teratology. Scarpelli, A. C., Paiva, S. M., Viegas, C. M., Carvalho, A. C., Ferreira, F. M., & Pordeus, I. A. (2013). Oral health-related quality of life among Brazilian preschool children. Community Dentistry and Oral Epidemiology, 41(4), 336–44. I have posted several articles in a series critiquing contributions to the Fluoride Free NZ report “Scientific and Critical Analysis of the 2014 New Zealand Fluoridation Report“ which is aimed at discrediting the recent review Health Effects of Water Fluoridation: a Review of the Scientific Evidence produced by the Royal Society of NZ together with the Office of the Prime Minister’s Chief Science Advisor. The articles in this series are collected into a pdf document which can be downloads from Download report analysing anti-fluoride attacks on NZ Fluoridation Review. In an attempt to encourage a discussion on the fluoridation review and the FFNZ report I offered all the authors and “peer-reviewers” of the FFNZ report the right of reply to my critiques. So far Dr H. S. Micklen (whose article I critiqued in Fluoride Free NZ report disingenuous – conclusion), is the only one to take up this offer. I thank Dr Perrott for reproducing my notes on the NZ Fluoridation Review and appreciate his comments. My appreciation would be warmer had he spent less time using his imagination and paid more attention to what I actually wrote. He has me bustling around, agenda in hand, clutching at straws here, raising bogeys there, scaremongering, relying on this, calling for that, and getting confused about different grades of fluorosis (as if..,). All nonsense. If I “distort the science” as Perrott’s headline proclaims, he does a great job of distorting the distortion. Most of my short piece merely commented on a few places where, in my opinion, the NZ report failed – through error, omission or incompetence – to reach proper standards of objectivity and impartiality and exhibited ill-founded complacency. Since the NZ report was highly biased in favour of fluoridation, any criticisms of it are likely to have an anti-F flavour. Too bad; I was dealing with the report’s view of the science, not pushing my own. I avoided speculating on the outcome of issues that I consider unresolved, dental fluorosis (where Perrott makes nonsense of what I wrote) being the only exception. Most of these issues have been argued over ad nauseam and I shall not try to unscramble Perrott’s lucubrations. The question of chronic kidney disease and its possible cardiovascular consequences is perhaps an exception. I gave credit to the Review for discussing the paper by Martin-Pardillos. Agreeing with the Review’s opinion that the results needed to be confirmed, I remarked “The interesting question is, what should happen meanwhile?” That is not a rhetorical question. What does, or should, happen when an alarm bell sounds over a long-established procedure? Does further research on the topic receive any funding priority, for example? Perrott uses a piece of grammatical legerdemain to pretend that I called for CKD sufferers to be warned to avoid tap water, which I did not. In fact, I am inclined to agree with him that that might be extreme in the present state of knowledge. Perhaps it would be embarrassing, too, for a government to insist on putting fluoride in the water and then advise a substantial number of people not to drink it – or so one might think. But Perrott concludes “Any patients who are particularly worried can then take steps like using filtered water for their own peace of mind. 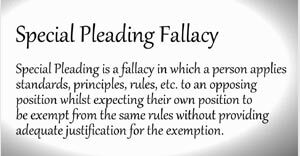 This seems more appropriate than denying the rest of the population access to a simple, effective and safe (for them at least) social health policy like CWF.” So that’s all right then, thanks to the patients, whom Perrott doubtless consulted, being willing to promote the alleged greater good. He has pricked a hole in the old mantra, though: “effective and safe – for some”. Perrott asked for my feedback on his idea about the possible effect of dental fluorosis on IQ. Since then his paper has appeared online as a short article in Neurotoxicology and Teratology. Perhaps the best thing I can do at this stage is pretend that it had arrived on my desk for peer review. I would have commented as follows. “This communication refers to a recent paper by Choi et al (2014) that reports certain cognitive defects in young children affected by moderate-severe dental fluorosis. Choi et al suggest that this is due to an adverse effect of fluoride on the developing brain. The present author proposes an alternative explanation, namely that fluorosis itself, and the stress of living with it, can affect learning and general quality of life and result in poor performance in certain types of cognitive test. This appears to be a novel idea and, as such, is suitable in principle for publication as a short communication. There is, however, a fundamental question that the author should be invited to address and clarify with a view to possible resubmission. “The author needs to discuss this issue in a transparent fashion so that readers can judge for themselves whether the proposal is plausible. Conversely, if he is not making such a proposal, that too should be made clear.